What’s the memory you leave behind after you’re gone? How will people remember you? 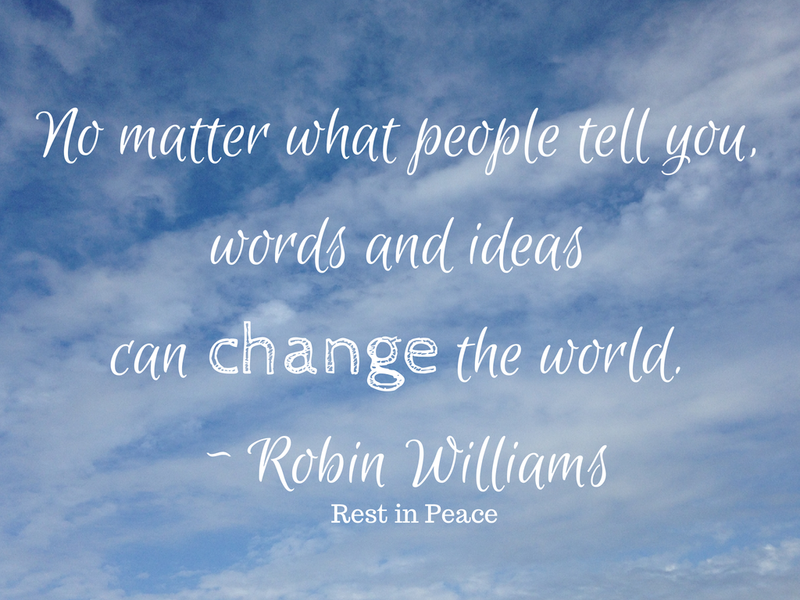 These are the questions in my head this morning as we say goodbye to Robin Williams who passed away yesterday. When I think of him, I think of the laughter he evoked in such a variety of ways and I admire the freedom he displayed in expressing so many different characters seeming as easily as he took a breath. I am reminded of the stories that circulate about how he offered to pay for treatment for Christopher Reeve after the horseback riding accident which left him paralyzed and how he quietly and yet consistently donated his own funds to all different charities over the years. I have written about how Laughter is the Best Medicine and even about Robin Williams portrayal of Patch Adams here as to me, the gift of a smile and laughter is so important ~ and quite contagious! Don’t you agree? To honor his memory, let’s willingly smile at everyone today for you never know who really needs a smile. When a friend answers, “I’m fine,” to your inquiry and you have an inkling that they may not be ‘fine’ please don’t hesitate to reach out in kindness. Sometimes those who are always giving out smiles, need a smile from you as well.